FURTHER widespread, and in places drought-breaking rain across extensive areas of Queensland and NSW in the past ten days has sparked one of the most dramatic slaughter cattle market turnarounds in recent memory. Both slaughter steer and cow prices have soared over the past fortnight, in some categories worth 60c/kg more than grid offers seen in mid- March. On a heavy cow 300kg carcase weight, that’s worth $180 a head more than the recent bottom of the price cycle. Some Queensland processors have lifted offers on steers and heifers 40c/kg in a single jump within the past seven days, which may be unprecedented. Quotes seen this morning from competitive southern Queensland processors now have heavy cows at 435-440c/kg and 510-535c/kg for four-tooth grassfed heavy steer. The wide steer variance perhaps suggests that rates are moving that rapidly that some competitors are still coming into alignment. Compare that with our weekly kill report of 12 March, when the same processors were offering 370-380c on cows, and four-tooth grassfed steer 470-475c, and it shows steers up 35-60c, and as much as 60c on the cow. Premium lines are also on the march, with grainfed steers up 20c/kg on average. Spot grainfed steer this week is 580-590c up from 550-570c just a fortnight ago. Keep in mind the recent down trend on grainfeds was nowhere near as severe as over-supplied cows. Prices for ‘slaughter weight’ cattle are also ratcheting-up in North Queensland, where one producer on Monday secured 290c/kg liveweight delivered scales, Charters Towers, for lines of steers 480-650kg for the heavy boat (slaughter) trade to Vietnam. At a dressing percentage of 54pc, that values those steers at 537c/kg dressed weight, with no grid discounts attached and no freight to port. Not only is the recent price movement putting dollars in producers pockets, equally importantly it is injecting much-needed confidence back into the supply chain. The broader cattle price recovery is clearly captured in the Eastern Young Cattle Indicator, which is currently showing a ‘near vertical’ upwards trend, lifting a blistering 119c.75c/kg since the rain started on 12 March (see home-page industry dashboard graph). ‘Significant’ is just not a strong enough metaphor to describe the scope of the current price recovery, from young restocker cattle all the way to bullocks. 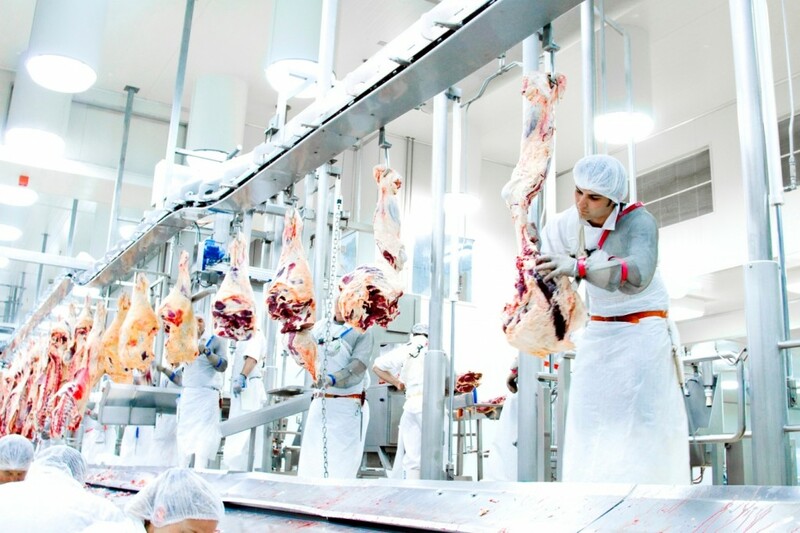 The only obstacle that might impede the current slaughter price trend is two holiday-shortened weeks coming up, with week 17 (starting 22 April) being a three-day working week for most plants. That could potentially reduce processor appetite for scarce cattle around that time a little. With trucks bogging trying to get cattle out of the station yards to processing plants this week, some may interpret current rates as somewhat artificial ‘wet weather money’ from processors desperate to raise a kill. But given the extent and volume of recent rain, it’s hard to see current prices moving downwards again any time soon. There’s clear evidence of competitive tension between export processors this week, now that the tap has been turned off, after months of drought-driven abundant cattle supply. A number of major Queensland and NSW plants expect to kill only four days this week, as supply challenges arise in getting cattle out of wet paddocks. Saturday kills that were being scheduled only two or three weeks ago due to heavy supply are now gone. It is hard to see anything but prolonged slaughter cattle shortages for the months ahead, and it’s also likely that weekly slaughter rates for the rest of the year will not go close to the recent highs above 152,000 head per week across eastern Australia. In many cases, producers no longer face forced sales due to drought pressure and will hold cattle back to add as much weight as possible. Average carcase weights are likely to rise sharply, because the lighter cows that were being pushed to market by the drought will disappear, helping lift the average for remaining slaughter cattle weights higher. While processor margins are now greatly reduced, current cattle pricing leaves a small margin on slaughter cow, and perhaps a modest loss on export steer, Beef Central was told by a large multi-site processor this morning. A sharp lift in 90CL manufacturing beef prices into the US – this week at A670c/kg – is helping support processor margins on cows. More on this in coming days. Reasonably stable currency around US71c over the past few months is also helping support meat prices, and as beef production volume shortages inevitably emerge in cold storage in coming months, some processors anticipate a modest upside in meat prices, as international customers adjust to lower levels of supply out of Australia. “Certainly, export processors were making good margins over the past few months of heavy cattle supply, but I’d expect we’ll be giving a fair bit of that back pretty quick now that the cycle has changed,” one processor contact said this morning. With good falls of 75-100mm extending as far south as the Hunter Valley, Gunnedah, Tamworth and east and south of Dubbo, oats plantings have already started and will continue through April. Saleyards numbers have retracted further this week since the rain, with Roma store sale this morning back another 30pc to less than 3500 head. While most of the rain impact is yet to be seen in slaughter trends, the eastern states beef kill for the seven days to Friday was down 3pc on the week before, to 147,462 head. All states bar NSW were affected. Queensland’s kill at 72,937 head was down 7pc on the week before, while Victoria was down 2pc to just short of 27,000 head. South Australia was marginally lower at 5985 head, while Tasmania declined 1pc to 4982 head. NSW went against the trend, lifting 3pc to 36,634 head, but is likely to follow the broader trend next week after weekend rain. Why don’t MLA cattle price grid reports show the same trend as Beef Central’s? On a rising market, they always appear lower. I would imagine those selling cattle over the previous three weeks would be wondering why should you have any loyalty towards a processor.